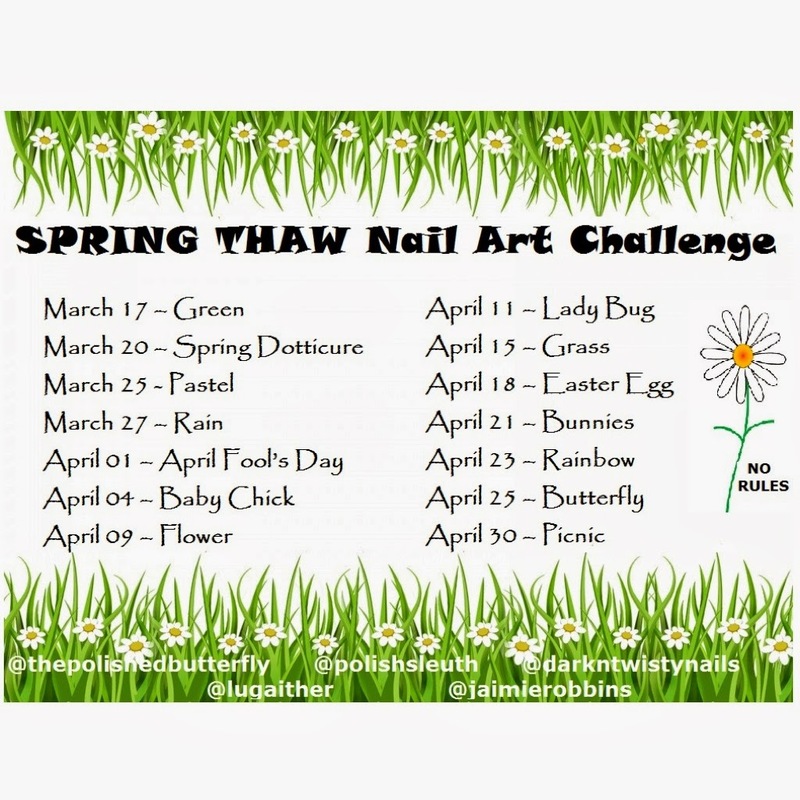 As my dear friend Yv pointed out very nicely yesterday, I was a day early with my fried eggs that were supposed to be flowers nail art for the #SPRINGNORULES Challenge. So when I was looking through my untried polishes yesterday and saw this one, I had a "Duh!" moment. 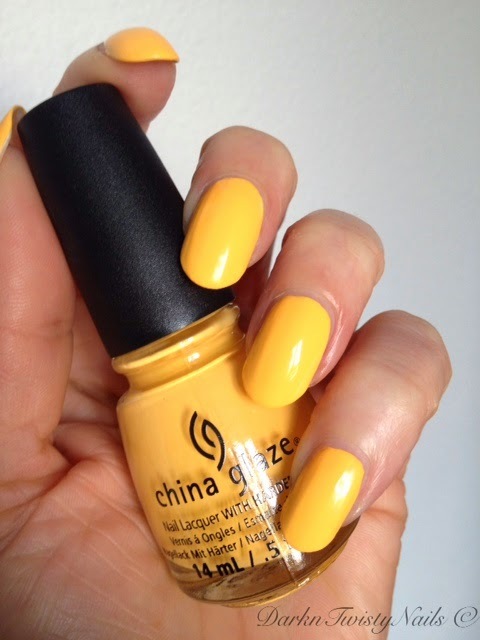 Not only is this polish gorgeous, it's totally appropriate for today's theme! Flowers... Pollen... totally works! So today I have #SPRINGNORULES: Flower Part Two for you. 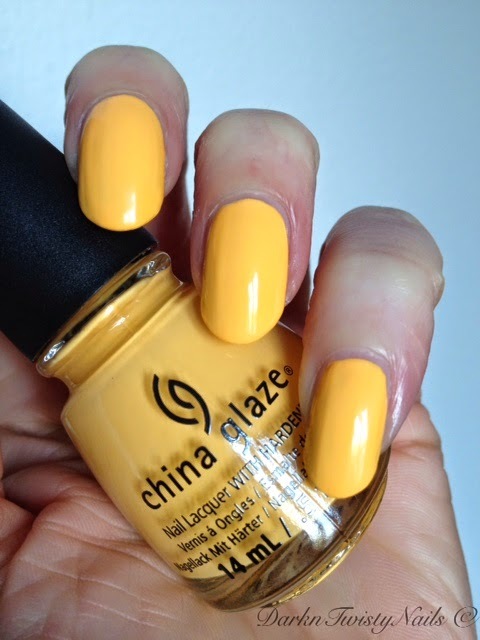 China Glaze Metro Pollen-tin is an orange based yellow cream polish. This is another polish from the City Flourish collection and this one also has that overly bright, almost neon tone to it. Unfortunately it also has the crapy formula. These polishes just dry so incredibly fast, you can't manipulate them in any way, so the three strokes (or as few as you can manage) method is the best way to get them on your nails. But once they're on, they're absolutely stunning! 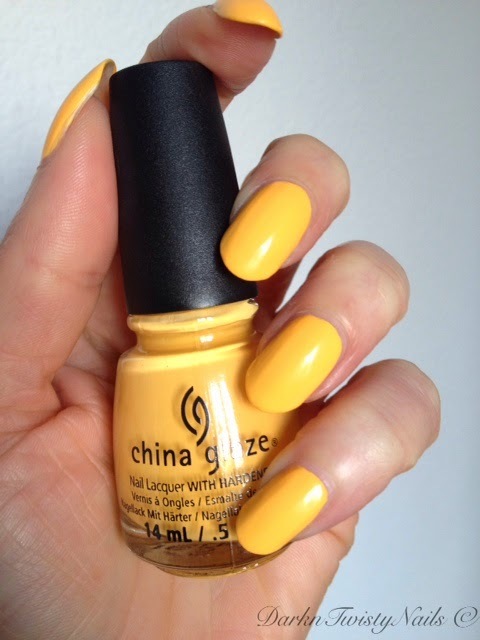 What's your favorite yellow polish? I didn't expect anyone to miss the eggs.. lol! Oh my gosh, I LOVE that! That's too bad that the formula was crappy, though! I love butter LONDON's Cheeky Chops or Pimms, but I recently acquired Zoya's Pippa, so I'm looking forward to try it! That looks great on you...beautiful yellow/orange. 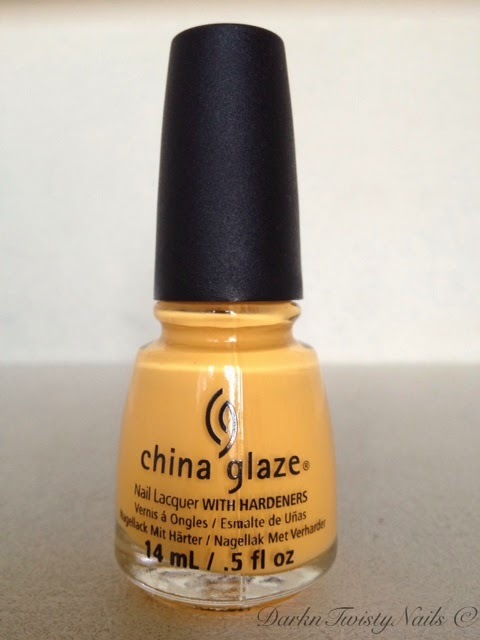 China Glaze has such beautiful colours, too bad they couldn't get the formula right!